When Foreigner, with the commanding voice of lead singer Lou Gramm, entered the scene in 1977 with its debut self-titled album, they began their journey to become one of the best-selling bands of all time, eventually selling more than 80 million albums worldwide. With songs like "Feels Like the First Time," "Cold as Ice," and "Long, Long Way from Home" getting continuous airplay, the band gained fast popularity. Following up with their sophomore chartbuster Double Vision in 1978, Foreigner enjoyed a rock stardom which many bands seldom acquired so early. More successes would follow, but dissonance between founding member/guitarist Mick Jones and Gramm would eventually end their musical collaborations and friendship. "Juke Box Hero," Gramm's rock and roll memoir, named after Foreigner's venerated hit, is a chronicle of the singer's fifty years in rock. It is a tale that is not unfamiliar to fans of any music genre: early days of anxiety, the climb to recognition, an explosive, and drug-and alcohol-fueled time at the top, then betrayal and the break-up of the band, and finally redemption. However, Gramm's tale is colored with the more human side of who the rock and roll icon is, such as stories of his childhood, growing up in a musical familyGramm's father, an accomplished trumpet player, would tell young Lou that music was great as a side venture or a hobby, but not as a vocation, as it was too hard on families. Years later, he recounts, as the life of a rock star became lonely and empty, the words of his father would haunt him. Gramm had experienced the buzz of performing in several bands as a teenager in his native Rochester, New York, getting most of his pre-Foreigner recognition performing in the band Black Sheep. About to break through, having just started a tour with Kiss, Black Sheep's equipment truck had hit an icy patch and all of its contents were destroyed. Devastated about the loss of their equipment and not having the money to replace it, Gramm started a job as a janitor, mopping, scrubbing and cleaning toilets. The summer before Black Sheep called it quits, Gramm attended a Spooky Tooth concert and met guitarist, Mick Jones. Gramm handed Jones two copies of Black Sheep's albums, somewhat convinced that Jones would pitch the records into the trash. In the spring of 1976, some months after the two had met, Jones called Gramm to audition for a new band he was forming. Jones, who had auditioned 50 singers, liked the voice he had heard on the Black Sheep albums. Needless to say, Gramm nailed his audition and became the voice of Foreigner. The outline to a few tracks had already been formed—songs which would be on the band's debut, Foreigner. A meteoric rise to stardom followed. Only months before, Gramm had seen himself as the world's biggest loser. Gramm admits that if there was a certain time he'd like to relive with the band it would be 1981 or '82. At that time, notably, the band was riding high on the success of the albums Foreigner, Double Vision, Head Games, and 4. Producer Mutt Lange, who was hired for Foreigner's aptly-titled 4 album, prodded Gramm to tailor his vocals to sound like other popular singers Lange had produced, such as AC/DC's Brian Johnson and Def Leppard's Joe Elliott. Gramm, preferring not to edge up his singing, shot down Lange's suggestion. "I think Joe Elliott's a great singer and I think the AC/DC singer is good too. But the singer for AC/DC, Brian Johnson, has a real torn-up, gravelly sound. And I can get that at certain times, but I certainly don't sing a song like that top to bottom. I would continue to have these little conversations with Mutt. And in the end he left it alone and obviously it turned out fine." "We had very hook-y songs," says Gramm. 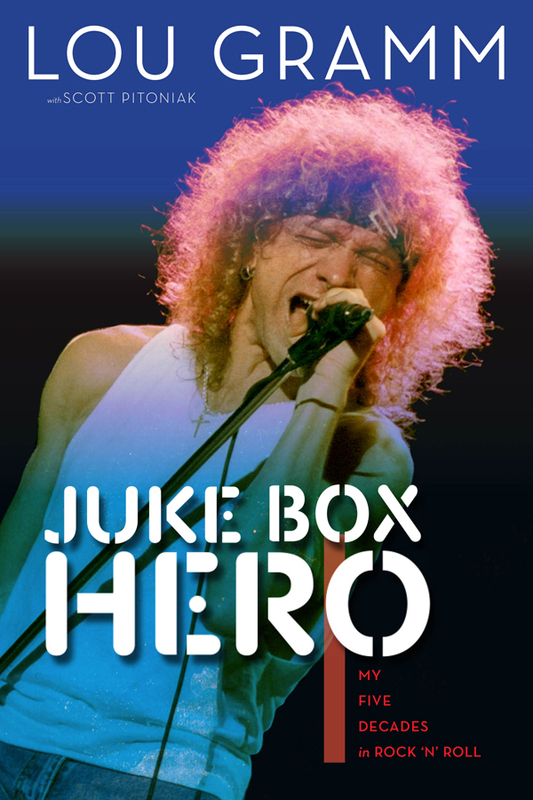 The smash hit "Juke Box Hero," lyrically prophesied what would occur to the boy from Rochester, NY by the time Foreigner 4 was released. Gramm describes a dreamlike scene that he mentions in his book, which took place in the studio while recording "Waiting for a Girl Like You" during the 4 sessions. "That was as mysterious as it ever got," he recalls of a beautiful woman who sat in the booth while he recorded the vocals for what would become one of rock's greatest and most-played ballads. "On and off over those years there were a few of those," Gramm says of the chance occurrence, "but that one was freaky because the woman walked in and I thought she was very striking. And I thought the producer must know her or maybe Mick knows her. But she came right in and she sat down, right at the front window of the control room and the actual recording room. She sat there looking at me for about 25 minutes while I was singing takes of the song. It was quite easy to put a little more into it when you have an attractive woman, who's obviously taken by the song, staring at you. I think it was Mutt Lange and Mick said, 'Great. We got it! Come on in.' And as I took my headphones off and came in, she got up from her chair and walked out the door. And I came in and I said, 'Mutt, is that a friend of yours?' He said, 'No, I have no idea who it was.' 'Mick?' 'Never saw her before in my life,' he said. 'We thought it was one of your friends, Lou.' I said: I have no idea of who it was. So it really ended up being like a mystery woman. Given that she was there and very attentive, it was easy to put a little more into it. And that ended up being the keeper vocal." Agent Provocateur, Foreigner’s fifth release, came in 1984 and produced "I Want to Know What Love Is," the band's first and only number one hit. During this time, heavy tension began to build between Jones and Gramm over money and artistic vision, though royalty ratios had already started to go awry for the 4 album. At a meeting where the discussion centered around who got what percentage of songwriting credit (and therefore profit), Jones had told Gramm that he (Jones) contributed the majority of effort to their number one song and Gramm had given very little. "That's what Mick suggested," Gramm recalls. "I think I might have said 60 Mick/40 me or 70 Mick/30 me, and he came back with 95/5. And I said, 'If that’s all you think of my contribution, Mick, why don't you just keep the song yourself? I know that's what you want anyway.' And he didn't say anything. "Waiting for a Girl Like You"--I helped to write--that's a good rock ballad, I think. It did very well. "I Wanna Know What Love Is"--I co-wrote that song and contributed quite a bit, and got no credit." The last studio album Gramm would record with Foreigner was Mr. Moonlight in 1994, which took the band back to its rock roots in hopes of retrieving former fans who had strayed away during the synth-heavy Agent Provocateur and Inside Information period. Mr. Moonlight was Foreigner’s first non-Atlantic Records venture and it was their first new album in about eight years. Gramm had tasted success as a solo artist during a break from Foreigner, releasing Ready of Not in 1986, stating in his book: "My intent was to get back to my raw, gritty, garage-band roots, to rediscover that sense of spontaneity that Foreigner had lost because of Mick's insistence on polishing and burnishing every freaking note." "Judging by the radio success of my albums and my willingness to continue to work and keep my rock integrity intact, I had no hesitation about leaving Foreigner. It was preferable to me to do that rather than see the band become something in our fans' eyes that we weren't." In the book, Gramm describes in detail the deleterious effects of his drug and alcohol use. In 1991, after various stints in rehab from an addiction that started to dominate in his mid-twenties, Gramm hit bottom, which was sufficient enough for him to undergo a spiritual transformation. "I've been clean and sober for 22 years, and I'm sure people who've followed the band can see and hear the difference between the way I was and the way I am." Yet, the real test of his growing faith would occur at the end of 1996, when Gramm began to experience excruciating headaches, blurred vision, and memory loss due to a brain tumor. After a complicated surgery and a very long recovery, Gramm admits that his relationship with God and sobriety have been key in staying healthy. "I think I may have probably killed myself with alcohol and cocaine. I might have just finally gone so far off the deep end that it didn't make a difference about the tumor." These days Gramm enjoys performing in the Lou Gramm Band, singing Foreigner classics and originals. "I'm doing real well," Gramm says of his current health. "Following my doctor's orders, and I'm feeling better than I have in quite a few years." Mick Jones continues to lead Foreigner, and fans enjoy the songs that were on the radio when Gramm was the lead singer. 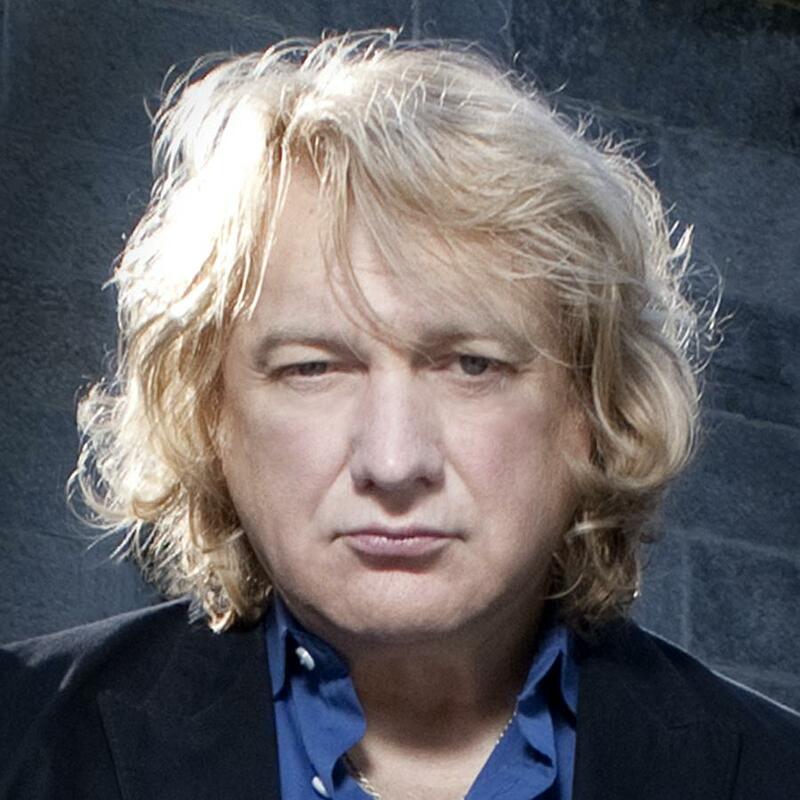 On June 13, 2013 Lou Gramm and Mick Jones reunited to perform together at the Songwriters Hall of Fame induction ceremony in New York City. With the exception of founding member Jones, the Foreigner lineup has changed countless times since Gramm left the band. Well-known talent has come and gone in the band's line up, including drummers Jason Bonham and Brian Tichy. The band is currently fronted by ex-Hurricane singer Kelly Hansen.